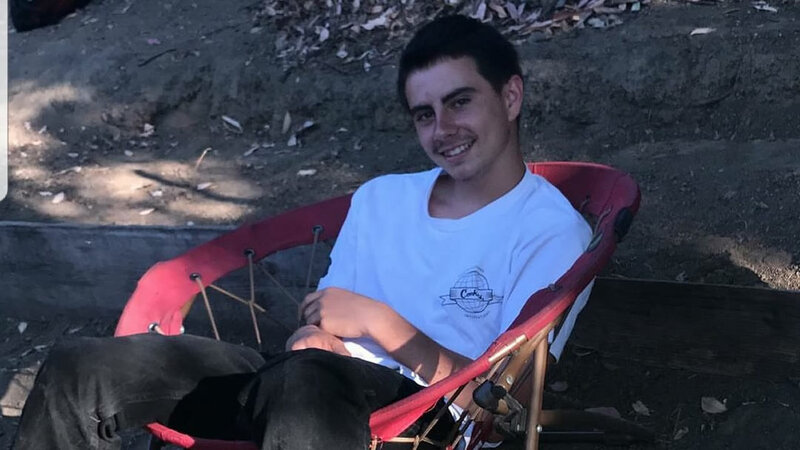 CONCORD, Calif. (KGO) -- Concord police have announced that several arrests have been made after a high school student was killed a block from Olympic Continuation High School Monday afternoon. Friends identify the victim as 17-year-old Lawrence Janson. Evidence markers dotted the intersection where someone shot the student just after Olympic High School let out for the day. "I was walking a guest out to the driveway to her car when I heard four pop, pop, pops," aid witness Pam Smithberry. Smithberry lives near Salvio and Beach streets in Concord. She says she heard the shots around 1:30 p.m.
That's when police say a black sedan pulled up. Someone got out and shot Janson standing in a group. "As soon as I heard I just came down here and just sat here, I've sat here for an hour now," said the victim's friend Calvin Machado. Machado says Janson was a student at Olympic Continuation High School. A janitor found him and staff tried to treat his wounds but the teen later died at the hospital. Police have not released his identity. "He was a cool guy. I don't know he was just at my house the other day too. I was hanging out with him," Machado added. Officers say the teen was targeted and shot multiple times. Bystanders had to duck for cover as a bullet went into a nearby office. The shooter got away. No further information on the suspects or how many arrests were made were immediately available.